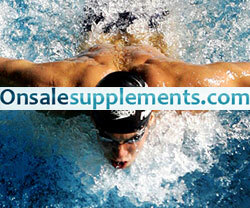 ZMA (Zinc Magnesium Aspartate) claims to improve strength, body composition and testosterone. We will look at the evidence to see which of these claims, if any, are true. Read on for the results. 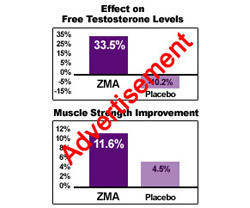 To the left is an example of a ZMA promotional chart. 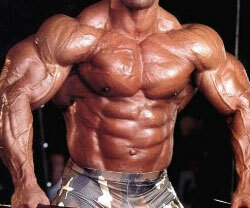 It shows substantial improvements in testosterone and strength. So that is the benefit the customer should expect to receive, right? Not when we look at the evidence. This study found no improvement in testosterone or strength after 8 weeks, but saw small improvements in body composition in both FFM (Free Fat Mass) and BF% (Body Fat Percentage). This study shows no improvement in testosterone levels in people with a zinc sufficient diet. This suggests that the promotional charts are not showing the results from average people, but are instead showing the results from zinc deficient people. 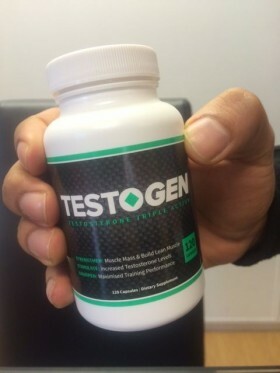 Magazines or products showing significant improvements in testosterone, strength and body composition from ZMA are biased and likely showing misleading charts and results. 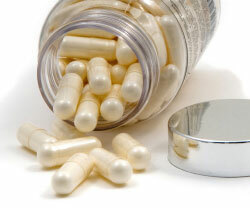 ZMA seems ineffective unless you’re zinc deficient, which can be found out by blood test. Read up on other supplements that will provide you with better improvements, for example Creatine and BCAAs. 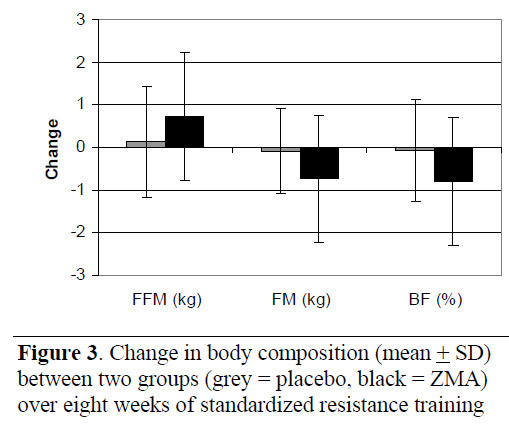 No Responses to "The Effect of ZMA on Testosterone and Body Composition"